If you are considering hiring a WordPress website developer, then this post is for you. There are three core concepts that a WordPress website developer needs to know. And if they don’t, keep on looking. There are plenty of WordPress developers out there that will make sure your project is done correctly. Do you understand responsive technology? Responsive technology is the emerging standard in website design. Yet there are many website designers and developers that do not understand or even know about responsive technology. In a nutshell, responsive web design ensures that your website will display properly on all devices: from smartphones to tablets to desktop PCs. Ask your WordPress website developer to explain what responsive technology is and to show you an example of a responsive website he or she has done. It’s essential that your website is built using current standards and technologies. Doing so will future-proof your website and protect your investment. Do you know what a child theme is? WordPress is a Content Management System (CMS). A CMS allows even non-programmers to create and maintain a website. A WordPress website is built on a theme or template. A child theme is based on the functionality of the parent theme. So the child theme will inherit all of the features of the parent. This includes features such as font styles, colors, logos, and background images. Using a child theme allows you to customize the original theme with your branding. These customizations are then stored in a separate folder. 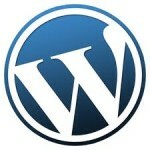 WordPress themes are constantly being modified and updated by theme authors. Many times it’s essential to upgrade your theme especially if the upgrade is to fix vulnerabilities and security issues. So if your website is built on a child theme and you upgrade your parent theme, all of your customizations will be preserved and you won’t lose your changes. If your WordPress website developer modifies the original theme files and does not create a child theme for your website, you will have to rebuild all of those changes manually. Now some WordPress website developers will tell you they “keep a list of changes.” Still not good enough. Do you want to pay someone to rebuild the website again from a list of changes and customizations? What if your original developer disappears with the list? It’s back to square one for you and your website. Plus, the smallest omission from the list could take hours to track down when trying to add a piece of functionality. Learn how to create a WordPress child theme here. Do you know how to harden a WordPress website? b. A strong password should be set up. c. Your site should be updated within a week of a WordPress upgrade. d. It’s a good idea to limit login attempts and block intruders once you’ve identified their IP address. These are just a few ways to harden a WordPress website. For an in-depth look at WordPress security, see our comprehensive guide. And finally, make sure that your WordPress developer knows how to back up your website on a regular basis just in case something breaks or goes wrong. If your WordPress website developer can answer these three crucial questions, he or she is a potential candidate for further interviewing and/or hiring. Answering these questions correctly shows they know WordPress best practices and elevates your candidate to the intermediate/experienced WordPress website developer level. business better in online world. Thank you for your comment! I agree that passion and dedication are top qualities for hiring technical people. It’s especially important in this business because of rapidly changing technologies. You are absolutely correct that not only does a developer need the technical skills, they need to have the right attitude and be willing to explore the best solutions for a client.